Anyone who has ever visited the Museum has probably marveled over the beautifully restored LCP(L) on display in the Louisiana Memorial Pavilion as well as the fully-functional replica of a LCVP (both boats manufactured by Higgins Industries of New Orleans during WWII). Visitors have also toured the John E. Kushner Restoration Pavilion (or perhaps just pressed their faces up against the exterior glass!) to see ongoing work to restore a Higgins-built PT boat, PT-305. But what visitors may not realize is the long-standing relationship between the Museum and the dedicated group of volunteers who made these projects a reality. This special group of volunteers have been giving their time to the Museum back before the original National D-Day Museum even opened. This is their story told in their own words. In 1997, a group of men gathered at a small wood shop on Foucher Street, just yards from the Mississippi River in New Orleans. They had decided that the city of New Orleans had gone long enough without fully recognizing the achievements of Andrew Jackson Higgins during the Second World War. They wanted to build a reminder of what Higgins had created and how he contributed to the war effort and the city of New Orleans. This group eventually built a Higgins LCVP from the ground up, and completely restored a Higgins LCP(L) to its war-time condition. The Higgins Boat Society, the forerunner to the PT-305 restoration crew, prided itself on completely restoring the landing craft to their original conditions, using the same materials and techniques as often as possible. The Higgins Boat Society was just getting warmed up when it decided to restore a Higgins PT boat. The Patrol Torpedo boat served in the US Navy during the Second World War. The concept behind this weapon is a light and fast craft, capable of delivering a knockout blow with a torpedo to any size capital ship. Their initial role as a torpedo delivery platform remained throughout the war; however, the boats began to encounter ships that were not suitable torpedo targets. PT Squadrons adapted to this role by increasing their armament, becoming fast gunboats. Pound for pound, PT boats became some of most heavily armed ships during World War II. Their impact was felt from the sudden jerk of a torpedo explosion to the violence of a high-speed gun run. Working in close conjunction with The National World War II Museum, the former Higgins Boat Society became the PT-305 restoration volunteers when the Museum acquired Higgins built PT-305 in 2007. This is a complex and impressive restoration that could not take place without the combined efforts of The National World War II Museum and the remarkable talent and dedication of the PT-305 restoration volunteers. 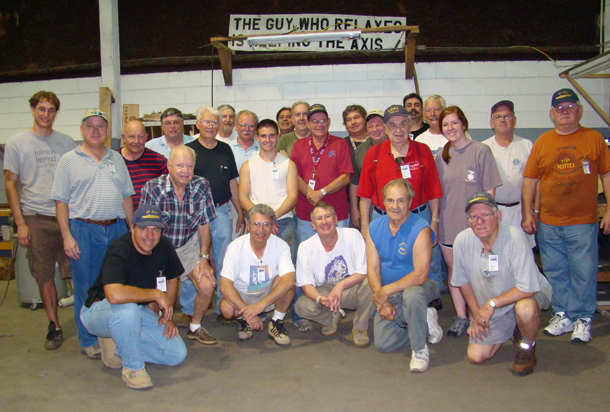 Just a few of the volunteers working on the PT-305 Restoration Project, some who have been volunteering their time before the Museum even opened in 2000. 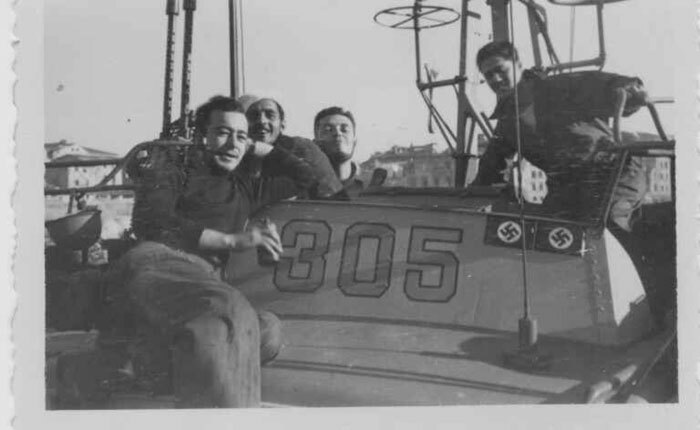 For those of you following the 68-year journey of our PT-boat, PT-305, from Higgins Industries in New Orleans to the Mediterranean in WWII and back to New Orleans again via the Puget sound and scores of other stops, find out more about her service in the war and see updates on the ongoing restoration. PT-305 is now the first project to call the Museum’s newest building, the John E. Kushner Restoration Pavilion, home. Find out more or learn how you can help restore PT-305 back to glory.